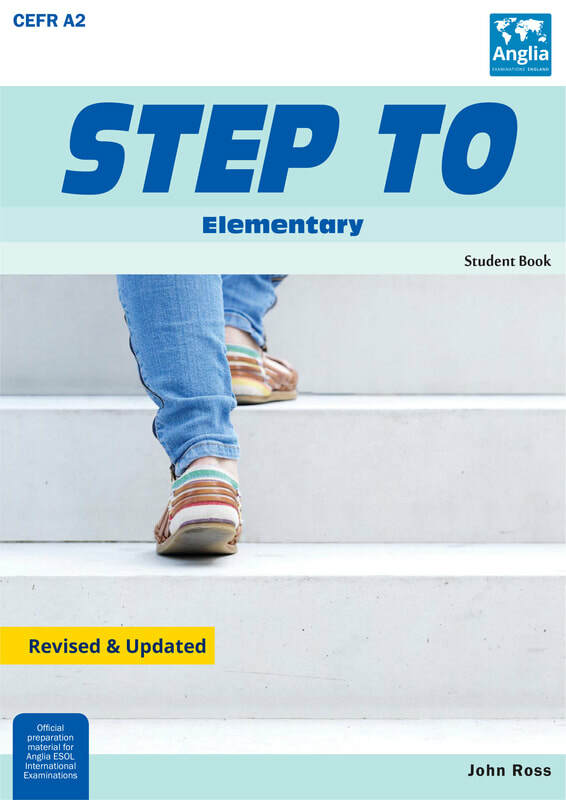 Elementary level - WELKOM BIJ ANGLIA! Succes met je Anglia elementary examen! 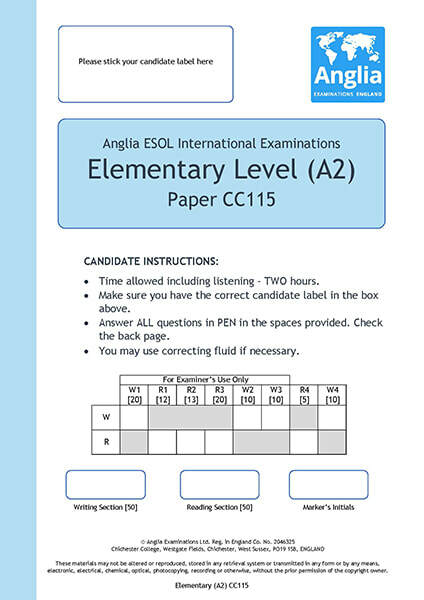 Maak een oefenexamen of klik op een van de Grammar Points (GP's) om specifieke onderdelen van het Anglia Elementary examen te oefenen. Klik op de afbeelding om het Elementary oefenexamen te openen. Talking about future plans which have conditions on them. - What will you do when you are older? - If it rains, we won't go to the park. I am going to see a film this evening. Talking about past activities which were interrupted. - I was having my breakfast when the postman knocked. - While I was studying, he played loud music. - Have you finished your dinner? Talking about long past habits and states. - My father used to work in an office. - My sister used to have long hair. - You must study hard if you want to go to university. - You mustn't worry about it. - You should always lock your car. Talking about the purpose of doing something. Jane went to America to learn English. Both of these in contracted forms too: I'd better, he'd better, we'd rather etc. - I would rather eat fish than meat. - You had better take an umbrella or you'll get wet. Isn't he? Aren't you? Do you? Asking for confirmation of a negative or positive statement or inviting an answer to a question. - You are coming to my party, aren't you? - You haven't seen my car keys, have you? - This is the best cake that I have ever eten. - Jack is the one who is sitting at the back of the class. Describing how often, how, when and to what extent people do something. Ordering events and understanding instructions and directions. - I have never flown in a plane. - At the moment, the children are playing in the park. - The children walked home slowly. - He is probably in his room. First, I had my breakfast. Go down the road and then straight on. Talking about the extent of something. - The student isn't trying hard enough, he never does his homework. - The student is trying too hard, he will make himself ill.
You must put on a hat if you go out in the sun. I am very fond of my pets.The student isn't trying hard enough, he never does his homework. The student is trying too hard, he will make himself ill.
Prepositions as used in some very common phrasal verbs* and prepositional phrases*. You must put on a hat if you go out in the sun. I am very fond of my pets. Markers e.g. right, well. Use of substitution. Right, has everyone got a book? I think so. I hope so.